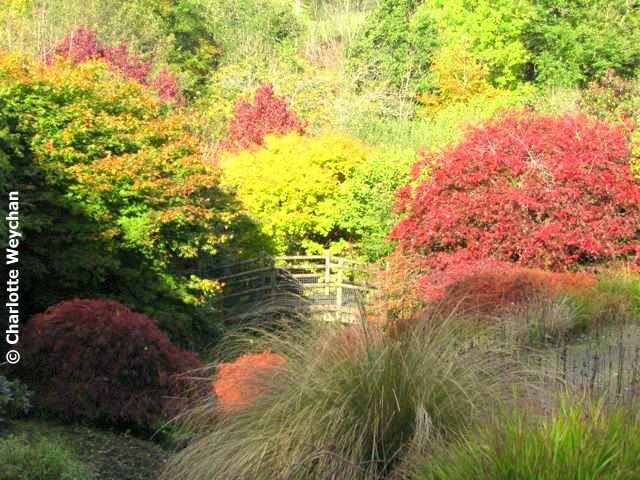 There's no getting away from shorter days as we enter October, but what better place to be than Devon now that the children are back at school and the gardens there are a blaze of autumn colour? 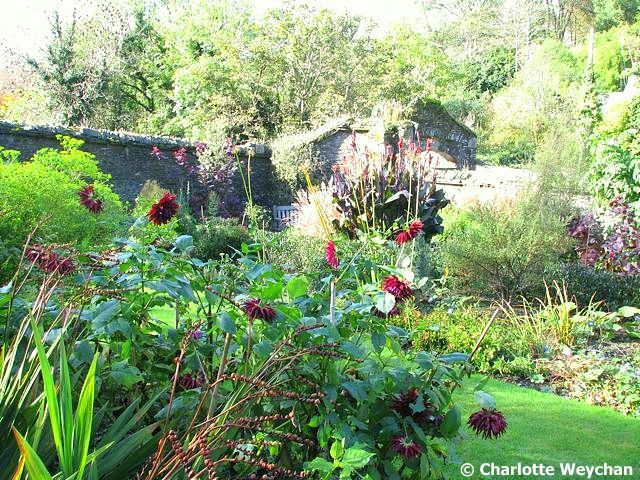 Today, I'm featuring three very different gardens that will really give you a taste of Devon at its best - all are open until the end of October, and even if you can only get to see one of them, you won't be disappointed! 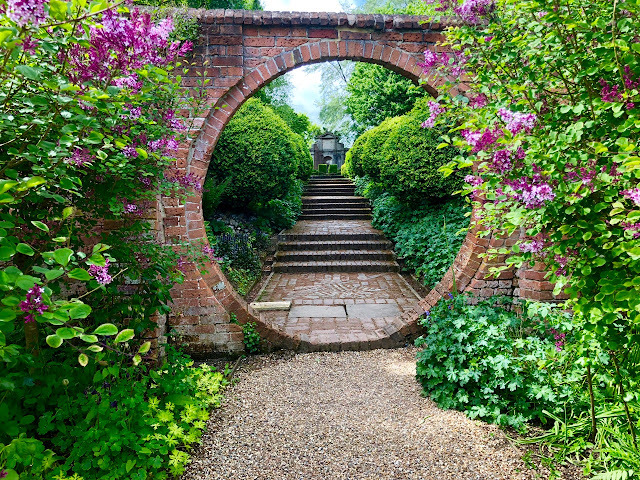 Start at The Garden House - one of my favourite gardens anywhere in England - with its wonderful acer displays at this time of year, but just as impressive at any other time during the open season - this must be one of the most romantic and mystical gardens I've seen yet. The terrain is hilly and there are a series of garden rooms, constantly changing and evolving, but the whole garden comes together and creates an impression of absolute serenity. 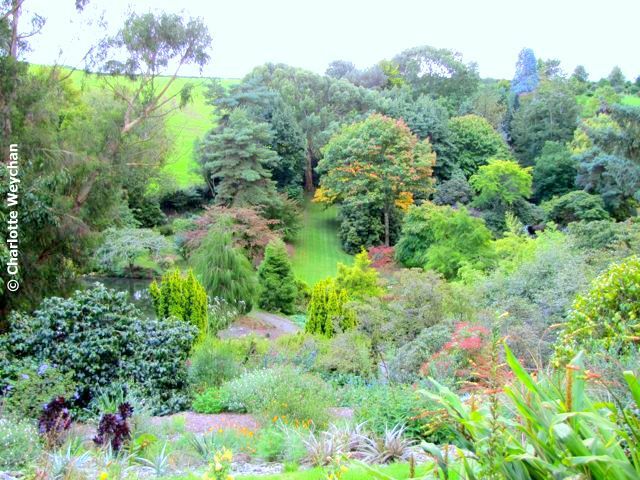 Move on to Marwood Hill near Barnstaple for a very different experience with its rolling landscape, subtle colours and glorious vistas over the lakes. 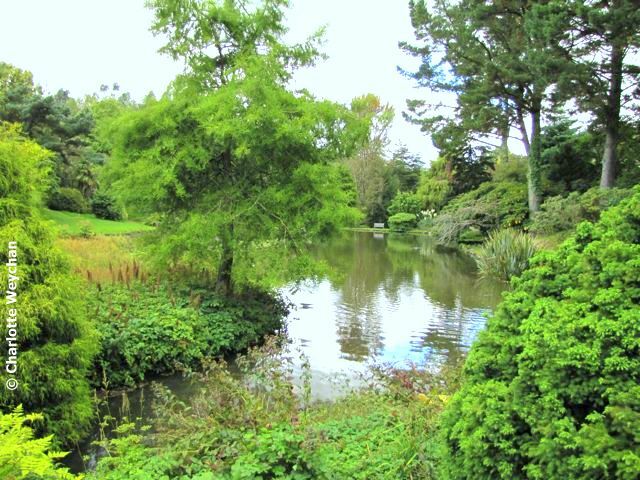 This garden was created by a doctor, who developed a passion for plants and trees and is filled with rare and unusual species. 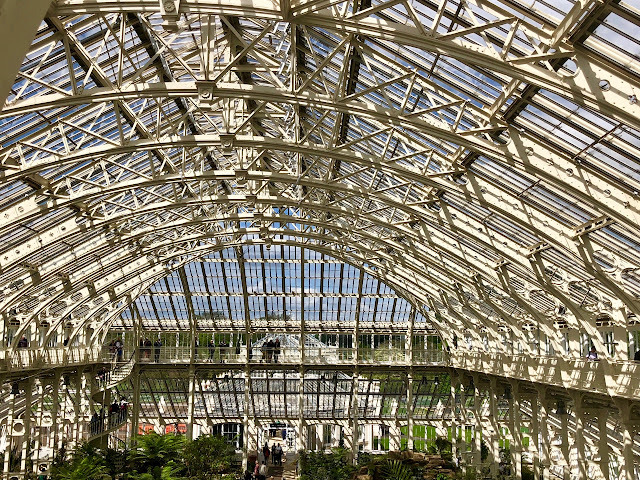 There are more than 5,000 different plants here and it is also home to the National Collection of astilbes. You'll also find a large collection of eucalyptus trees. A large part of Marwood' s charm is that it feels like a family garden, even though it boasts a fine selection of champion trees. And if you've got this far, a visit to nearby Docton Mill is a must - a nine-acre garden with a water mill that dates back to Saxon times. This garden has had new life breathed into it by its current owners, and also boasts one of the finest cream teas in the county! Docton Mill is located in an area of outstanding natural beauty and as you approach it, you get fine views over the Bristol Channel and see Lundy Island on the horizon - home to one of the largest puffin communities in the UK. The mill stream creates a perfect haven for damp-loving plants and there are also many fine trees here. 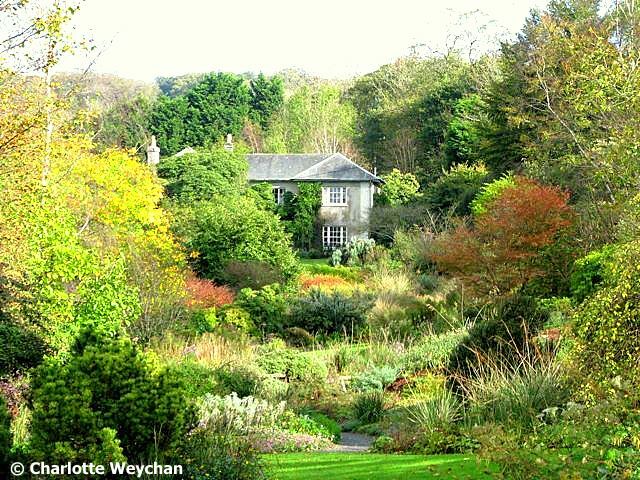 All three of these gardens are magical in their own way, but are just a taster for some of the other Devon gardens that remain open until the end of the month. But part of the joy of visiting this county is the rolling countryside and the fine sea views - both north and south. 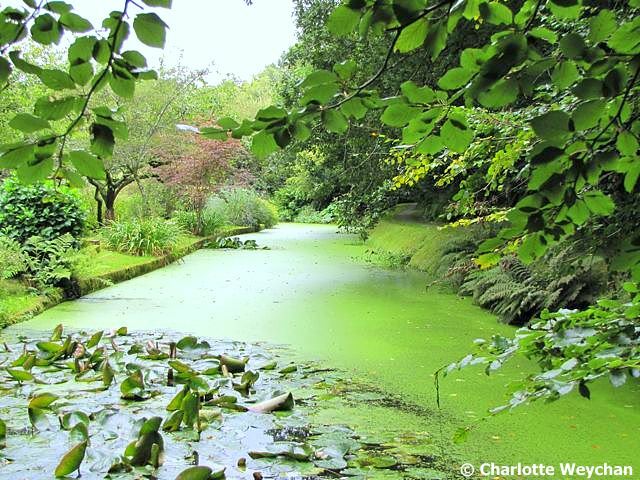 Other gardens worth visiting are Coleton Fishacre, Killerton, Castle Drogo and RHS Rosemoor. Thanks for posting about Devon gardens, especially Garden House. Is Keith Wiley's nursery open up the road to visitors at this time of year? One day I will make it to the Garden House - thank you for reminding me why I want to go!